The glove protects the shooter's hand while shooting a bow. 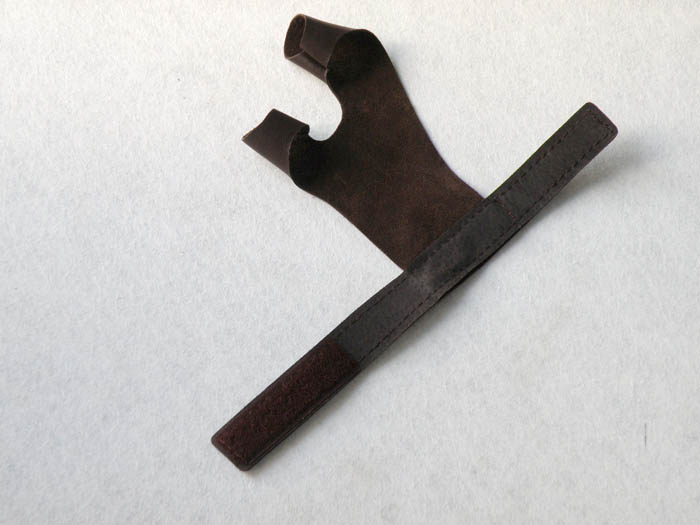 It is made ​​of high quality cowhide. 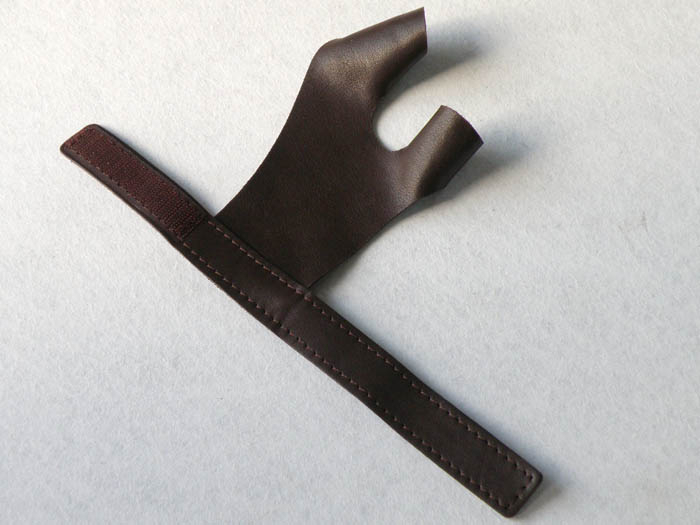 This type of glove is designed for shooter's left hand, which protects against possible abrasion of arrow. 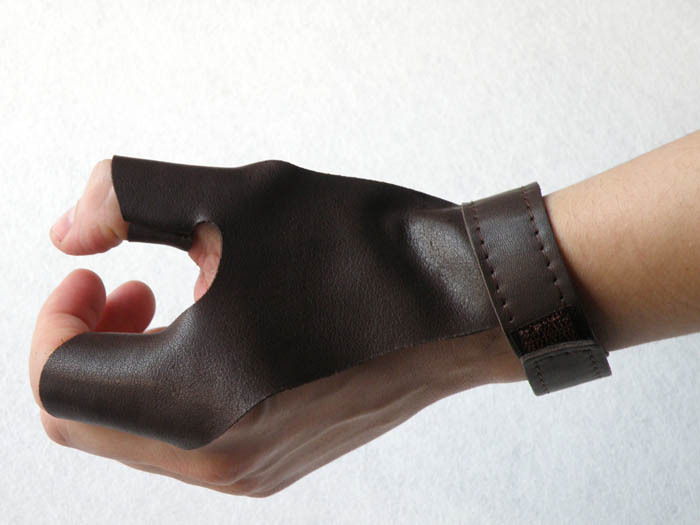 The glove is turned on by velcro, it is suitable for any hand circuit.